Brightest Day was the name of a crossover event published by DC Comics in 2010, as well as a year-long comic book maxi-series that began in April 2010. The story follows the ending of the series Blackest Night and how the aftermath of these events affects the entire DC Universe. At the end of “Blackest Night”, twelve heroes and villains were resurrected for some unknown purpose. The events of Brightest Day follow the exploits of these heroes and villains as they attempt to learn the secret behind their salvation. 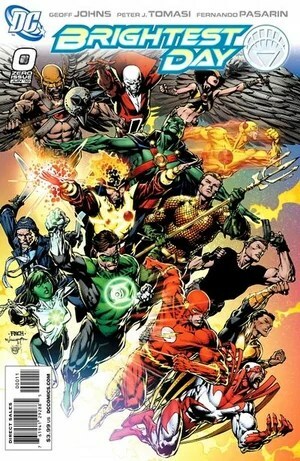 The twelve resurrected heroes and villains were Professor Zoom, Jade, Osiris, Max Lord, Hawkgirl, Hawkman, Aquaman, Martian Manhunter, Ronnie Raymond (Firestorm), Captain Boomerang, Hawk, and Boston Brand (Deadman). The series Justice League: Generation Lost was a tie-in with Brightest Day and featured Captain Atom quite prominently. 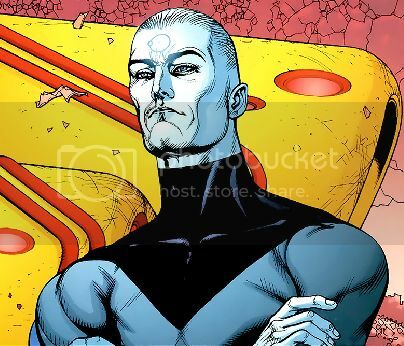 He also appeared in one panel of Brightest Day #23. This synopsis was cut-and-pasted from Wikipedia on 11/02/2013. I apologize for any errors and invite you to point them out to me for correction.